This coming Valentine’s day will mark the 15th anniversary of Los Angeles indie rock band Warpaint. To celebrate, the band has announced awesome shows tonight and tomorrow at the Echoplex in Echo Park and bassist Jenny Lee Lindberg chatted with Matt Wilkinson on Apple’s Beats 1 show earlier today. 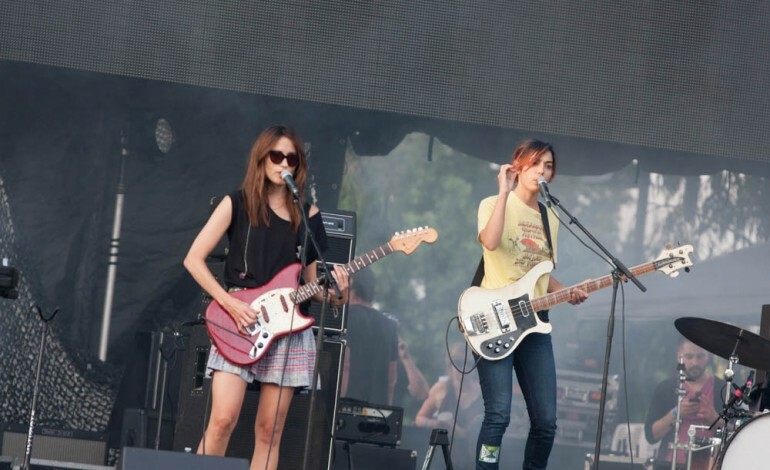 While much of the conversation was focused around the anniversary of the band, which formed on Valentine’s Day 2004, the chat also shifted to new music from Warpaint. The band hasn’t released a new album since 2016’s excellent Heads Up, which saw the band taking on a more poppy dynamic than their previous two releases. The band members have all been focused on releasing solo outings, including Lindberg. In 2015 she released a solo album as jennylee, which was titled right on! The next year she released an acoustic album called vibe as chill. The band’s guitarist and vocalist Theresa Weyman released a solo project under the moniker TT, titled LoveLaws. Lindberg and Weyman will both be playing the next two night’s gigs at The Echoplex as well as Beef (which is Warpaint drummer Stella Mozgawa with Boom Bip) and guitarist/vocalist Emily Kokal performing along with Deaf Mute.